There are currently 173 blog entries published by Waterfront Properties. Thursday, April 24th, 2014 at 8:15am. There are a variety of restaurants from which to choose in Abacoa Town Center. Copacabana Cuban, located on Main Street, is a family owned and operated establishment featuring a tropical atmosphere and delicious Cuban and Caribbean cuisine. Patrons enjoy such delectable meals as Cuban-style Carne Asada, pork chops, Cuban sandwiches, and fries. Drink-wise, the bar offers mojitos and strawberry Caipirinhas. One of the highlights of Copacabana Cuban is the open mic night every Thursday at 8pm. There is also live music and dancing on Friday, with Latin Jazz on Saturday nights. A dominoes league also meets at 2pm Sundays. Thursday, April 17th, 2014 at 8:41am. Abacoa, located in Jupiter, is a large community of charming single family homes, townhomes, and condominiums, all of which are divided into multiple neighborhoods, each reflecting its own architectural theme. Abacoa is especially attractive to families, as each neighborhood offers its own clubhouse, parks, and a sense of community. Abacoa is also within such an excellent school district that families move from miles away just to be part of Lighthouse Elementary, Beacon Cove, and Independence Middle, some of the top schools in Florida. Abacoa also features its own Golf Club and plenty of greenways. It is convenient to both Palm Beach Gardens and the Jupiter area, as well as Palm Beach International Airport and Palm Beach. Thursday, April 17th, 2014 at 8:40am. 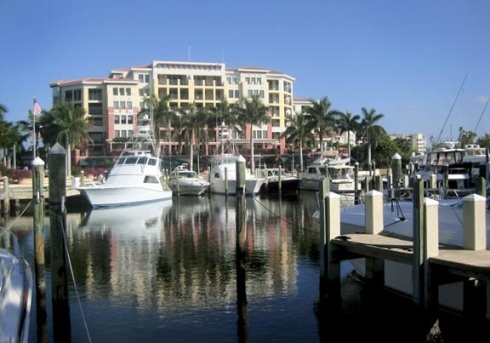 Abacoa is a family-friendly community located within the town of Jupiter, FL. It is comprised of 14 different neighborhoods, each showcasing its own theme. Favorites are the Victorian homes of New Haven, Key-West themed Mallory Creek, and the Tuscan and Mediterranean styles of Tuscany and Martinique, respectively. Parks, clubhouses, and community pools, are aplenty, contributing to the overall inviting and close-knit atmosphere. Abacoa features single family homes, townhomes, and condominiums, offering something for everyone. One of the major draws to the Abacoa area is the A-rated schools for which it is zoned. These include Lighthouse Elementary, Beacon Cove Intermediate, Independence Middle School, and Jupiter High. Located in the heart of Jupiter, Abacoa is a charming community of multiple subdivisions single family homes, townhomes, and condominiums. It features the Abacoa Golf Club, which offers a championship course and does not charge membership fees. Town Center is located in the heart of Abacoa, a location bustling with restaurants, shops, and live entertainment. Abacoa is also home to Roger Dean Stadium, training grounds for the Marlins and the Cardinals. 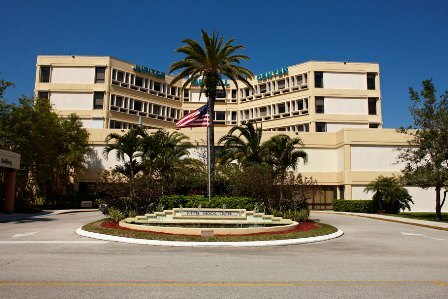 Florida Atlantic University is also located within Abacoa, as well as its prestigious Honors College. The Gardens Mall, Downtown at the Gardens, and Legacy Place are just ten minutes from your doorstep. A Port of Palm Beach Casino? Thursday, June 13th, 2013 at 11:20am. The Black Diamond Floating Casino Ship may have had a short time in business but a new company has taken ownership of the same vessel to continue the offshore gambling business. The newly named Island Breeze International expects to have its first cruise to set off on August 1st. The new owners based in L.A. have signed a 10 year lease and cruise operating agreement which has already been approved by the Port Commission for the Port of Palm Beach. The ship will have some remodeling done with new gambling equipment and machines added along with additional improvements. Every cruise will offer both dining, entertainment, & gambling. Stay tuned for more updates as the Island Breeze should be pulling up anchor soon! Tuesday, October 30th, 2012 at 12:26pm. 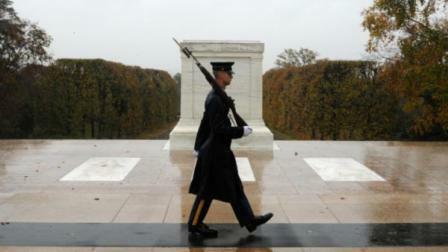 Despite Hurricane Sandy, vigil was maintained at the Tomb of the Unknown Soldier. The United States Army handed out the above photo on Monday morning, October 29, 2012, in the face of Hurricane Sandy. The photo was taken before Arlington National Cemetery closed because of the storm. The U.S. Army’s 3rd. Infantry Regiment has kept continuous watch over the marker in Northern Virginia since 1948 without ever missing a second! Monday, April 30th, 2012 at 3:53pm.